Auto Detailing is a term used by many as a way to describe the "cleaning of an automobile". To the trained staff at Town Center Auto Spa the process is so much more!!! We look at the process of auto detailing as a deep cleaning and complete rejuvenation of all of the vehicles interior and exterior surfaces. We use only the finest commercial grade equipment and exceptional products. The Detail process at Town Center Auto Spa not only deep cleans the vehicle from bumper to bumper, but also protects these surfaces using the finest sealants, waxes and UV inhibiting protectants available on the market. Town Center Auto Spa offers Four unique levels of the Auto Spa Experience that cleans your car to a "Show-Room Finish." Town Center Auto Spa is committed to excellence and offers you the the choice of Regular and Deluxe wash or you may experience the exquisite choice of the Premium and Ultimate Wash. 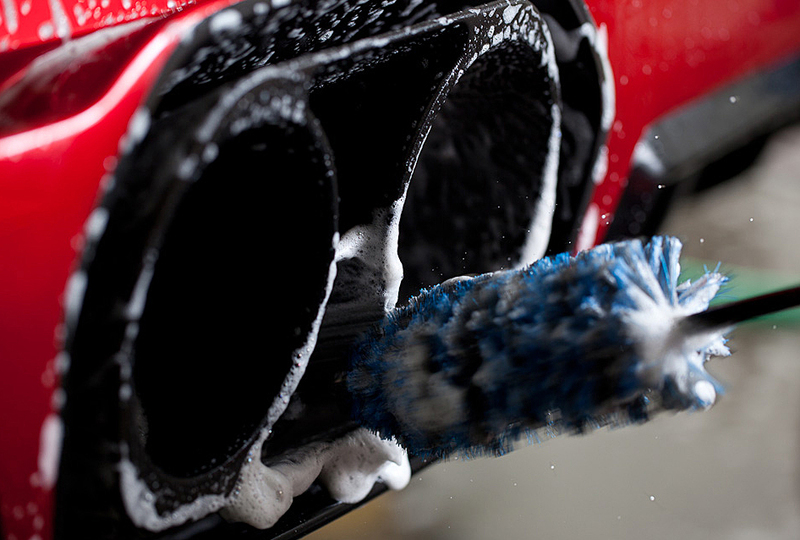 The goal of Town Center Auto Spa is to provide a consistent quality wash each and every time. TCAS is the first of its kind in the city, serving customers looking for a high-quality wash, at a reasonable price, with friendly and professional staff. At Town Center Auto Spa we know how to treat our clients, wether its a high end Auto Detailing Service or a Regular Wash! Whether you have a Sports Car, Sports Utility Vehicle, RV, or Boat, we provide excellent car wash and detailing services. We invite you to give us a try and see how a car wash should be. Town Center Auto Spa is located in Valencia, CA and provides specialized, automotive services for the most meticulous automobile owner. Our state of the art facility, detailing bay and a customer lounge area, giving us the capability to serve our customers in style. We offer many packages that suit the daily driver, the collector and everyone in between. Customer satisfaction is our #1 goal. That goal is achieved by providing unmatched results and personalized service. Our detailing services are a thorough blend of interior and exterior cleansing that maintain your auto's appearance and well being. Using only the finest and highest quality products available, our detailing services can help keep your vehicle looking new. Fleet and Corporate accounts are more than welcomed. Should you have any questions, feel free to visit the 'Contact Us' page.